Is the NHS offering patients a failed channel management strategy? 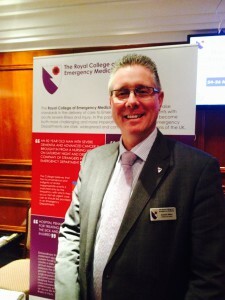 I frequently spend time in meetings discussing the challenges facing emergency medicine and our STEP campaign. I often find myself rehearsing arguments concerning the strategy of channel management – the concept of delivering services to customers through specific ‘channels’, such as face to face, by telephone, via the internet etc. I spent many years working for NatWest, before I joined the world of healthcare. I think that the dilemmas facing retail banking in the 1990s have echoes in the NHS of today. Let me explain……. In the 1990s, it was clear that the retail banking network was over-supplied with branches. Banking gurus of the time needed a way to discourage customers from coming in to the local branches (is this starting to sound familiar?). So they thought that telephone banking run from call centres, using standard processes, would be cheap to run and would stop the need for customers to visit branches. The new free telephone service was used but, when problems were encountered or the answer wasn’t to the customer’s liking, they went to the branch just as before. Still trying to reduce the ‘foot flow’, the ever-optimistic gurus then saw the potential for another free-to-use service; ‘Online Banking’. Once again, the new channel was used, but the pull of the old traditional channels remained stubbornly high, with people ending up back at their branch. Charging for branch use was also considered but the competitive market meant that it wouldn’t be successful. The breakthrough came when the main need for branches was almost removed. The debit card revolution meant that people rarely wrote or received cheques. Cash machines were installed all over the country. The de-skilling and staff reductions in the branches meant that visiting them for advice became a largely futile exercise and, at last, NatWest succeeded in reducing its branch network. So back to the NHS and our STEP Campaign. The reason that RCEM is calling for primary care co-location is that the power of the A&E brand trumps all appeals to ‘only attend in an emergency’. Encouraging the public not to attend the Emergency Department (ED) except in exceptional circumstances has a 25 year legacy of failure. There are a variety of reasons for this, not least the brand-pull argument above, but also the rational choices made by patients themselves. Their choice is influenced by where they perceive is the best place to go, the availability of other services, the impact of the visit on work life and indeed what other NHS service providers tell them to do – and many refer patients to the ED. Of course, whatever the choice, this is a free service (at least to the user). The other alternatives are bleak. In a world where patient numbers, acuity and demands are rising faster than supply, then queues are inevitable – a bit like my old bank branches where long queues used to form, particularly at lunchtime, consisting of angry, disgruntled people. The urgent care world is already experiencing this; the College receives report after report about the challenges of hospitals with four-hour and 12-hour waits. Another option is closure and rationalisation of EDs. We can see this occurring at the present time with the consequent pressure that it puts on other local units. Unlike the bank customer, who was given a debit card and cash machines in many convenient locations or simply trotted off to a competitor’s outlet, closing an ED often offers a patient little alternative other than to simply travel further. In my view, the channel management strategy of the NHS is in need of some resuscitation. In their book ‘Developing Multi-Channel Strategy’, Dr Stan Maklan and Dr Hugh Wilson of Cranfield University offer advice. They state that: “Customers make channel choices alongside their product-service choices and expect suppliers to offer sales, marketing and service across multiple channels – online, telephone and physical presence. Offering all channel choices to all customers across all products and services is too costly for most companies. For many companies, channel strategy is now every bit as critical to their success, as are brand and product range policies.” If we did a word search and replaced the word ”customer” with ”patient” and ”companies” with “NHS Trusts / commissioners”, this could well have lessons for us all. So the STEP campaign, in my view, stands up well to a channel management strategy scrutiny. It is patient-centric and acknowledges the choices made by them. Additionally, it is potentially effective for the supply side too. One big challenge with co-location of services is space and estates, but often much can be achieved locally without the need for large infrastructure projects. The alternative is to try to reduce demand and we know how successful that strategy has been over the past few years! Growth rates of 2% per annum in ED patient attendance don’t sound much but lead to an overwhelming demand on services over just a few years. And so next time you stand at a cashpoint remember the banks and the lessons about patient flow that they can teach us!